Tips and Tricks : Begin applying a thin line from the inner to the outer corner of your eyelid along your upper or lower lash line. Fro a more dramatic look, make your lines thicker and bolder. Packaging: It comes in a small Black plastic bottle with the name of the product written in Silver. It is great as it's tiny and easy to carry, even in one of those extra small clutches! 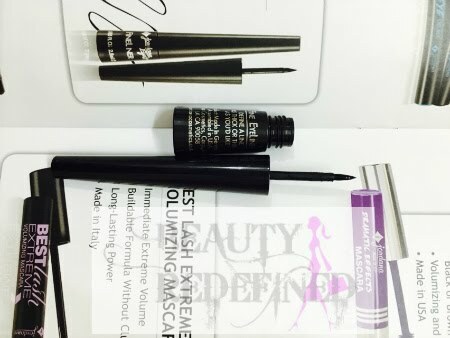 Ease of Use: I would suggest even beginners in makeup to use this eyeliner (or one that has a felt tip similar to this one). Not only is the tip amazingly easy to use, even the fact that you can remove the product quite easily if you make a minor mistake makes this a great makeup-for-dummies product. Intensity: I have this liner in the color '100% Black'. Even if you wear it over any eye shadow It stay put ! and you can really see the black defined line. The point of liner is to define the eyes and that is done very well by this little guy :) I would like it if it were a little more intense in its color though. 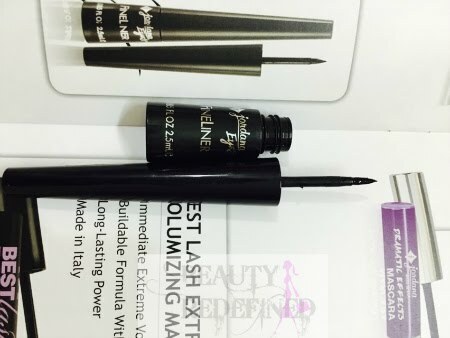 Durability: This liner stays put if you wear a primer or any good base under it. If not, you'll notice that it starts to fade away in a few hours. With a proper base, this liner stays in place till you clean it off. Price: At just about Rs.561, this liner is very reasonably priced! 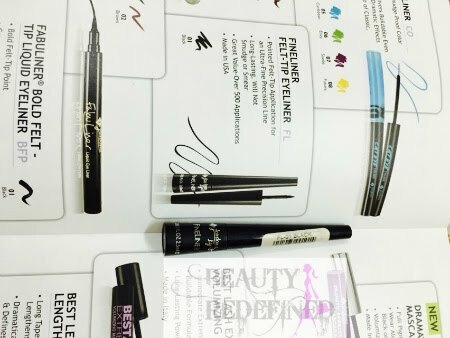 I have tried eyeliner from high-end to drug store brands Don't get me wrong ... just that the Jordana Felt Tip liner is a cheaper alternative and is much easier to access, since Jordana is a drugstore brand and is readily available in Pakistan, I would rate it 4 out of 5. That wing you made is PERFECT!